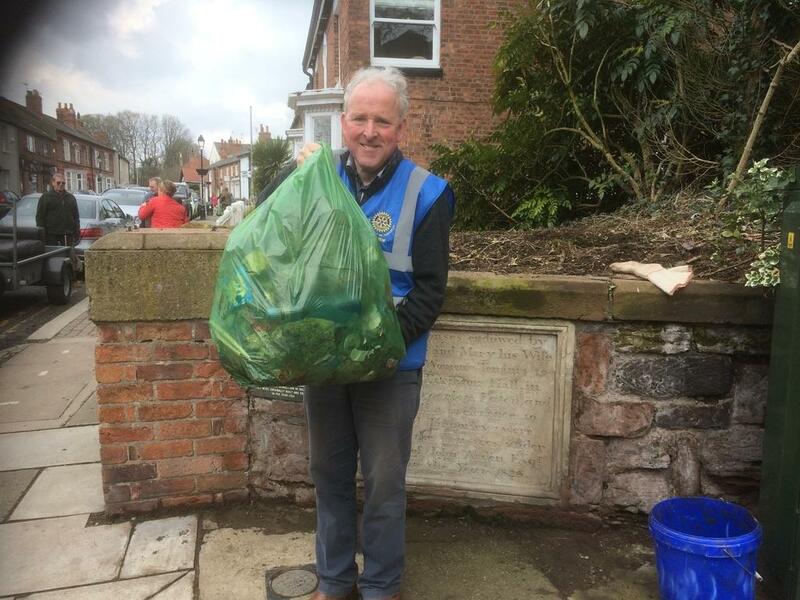 President of Tarporley Rotary Cleans Up! 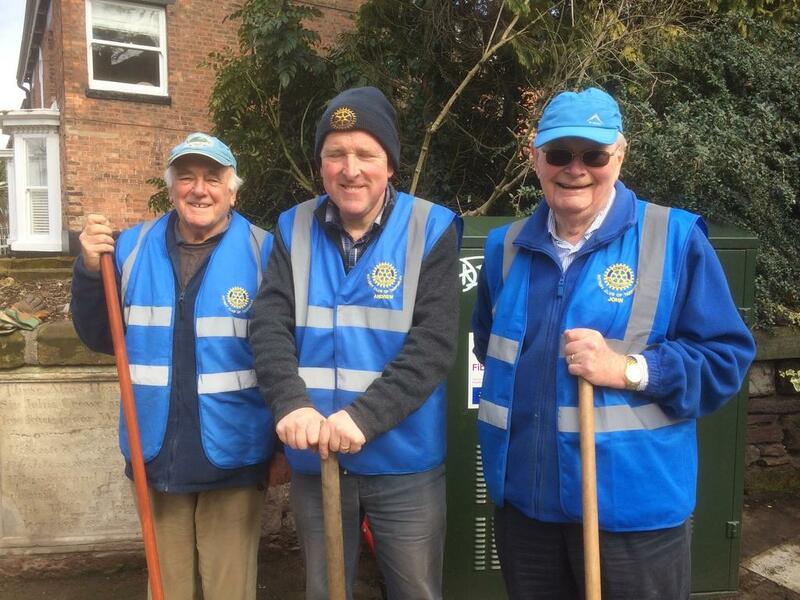 On Saturday 17th of March you may have seen a lot of activity in Tarporley as The Rotary Club of Tarporley went into action for a Spring Clean of Tarporley High Street. 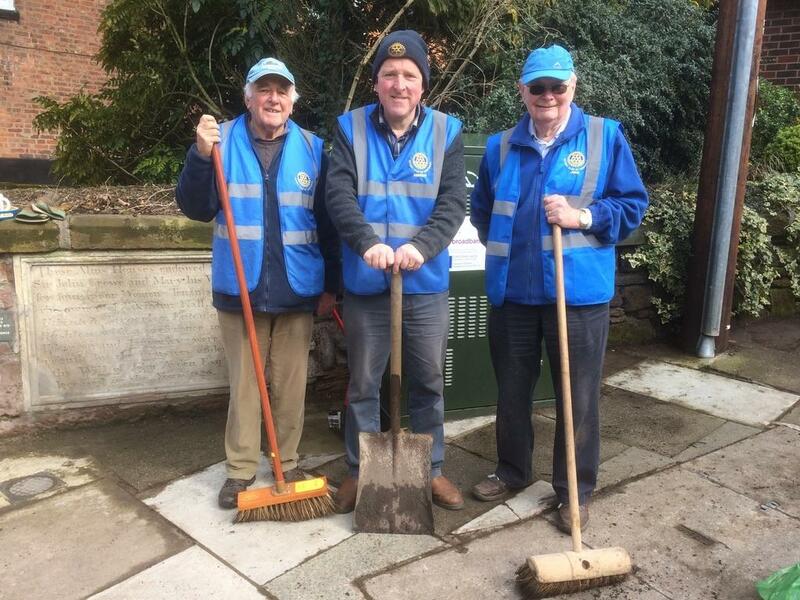 On saturday the 17th March a team from the Rotary Club of Tarporley spent the morning picking up litter and sweeping away the leaves and debris, that had built up over the winter, from Tarporley High Street. 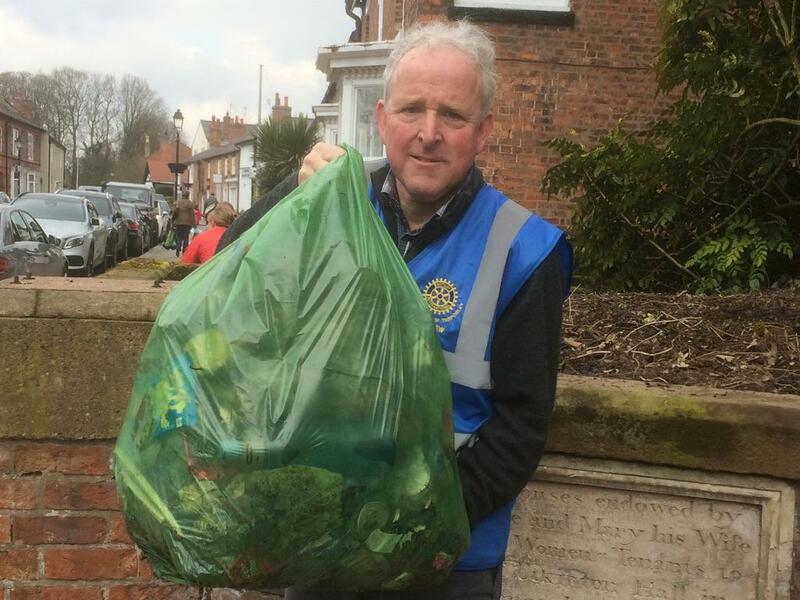 Over a four hour period various teams cleaned the length of our High Street and disposed of over 20 bags of litter and debris.